A distinguishing feature of Vedic astrology or Jyotish is that it’s a lunar based system. The full Moon (purnima) is considered to be quite auspicious. 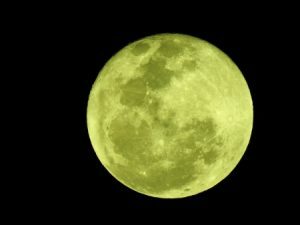 Certain full Moons are highlighted in the Indian calendar as they are linked to special holidays or festivals. The very propitious full Moon of Guru Purnima 2017 falls on July 8 in North America and Europe, and on July 9 in India. Please consult mypanchang for specific details. Guru Purnima 2017 marks the day devoted to honoring the Gurus, or sacred teachers, in our lives. The prefix Gu- means darkness. The suffix –ru means light. Thus, a Guru is one who leads us from the darkness of ignorance of our inner self to the light of self-awareness. In India, it is widely thought that the Gods incarnate in human form as Gurus to instruct humans and to lead them to the path of knowledge. 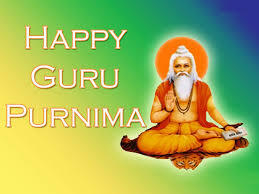 Guru Purnima is also known as Vyasa Purmina. Veda Vyasa was the great Indian rishi or sage who is said to have compiled the four Vedas, the ancient books of Vedic knowledge. Vyasa also wrote the 18 volumes of the revered spiritual texts the Puranas, the Mahabharata, and the Bhagavad Gita. Additionally, Veda Vyasa instructed Dattatreya, who is thought to be the Guru of Gurus. As the story goes, Veda Vyasa’s disciples were so full of gratitude for all that they had received from him that they asked him how they could repay him for all the profound knowledge that he had imparted. Vyasa told his disciples to choose one day of the year in which to pay homage to him. This way, their prayers and offerings could reach their Guru. Thus, the disciples chose the full Moon of the lunar month of Ashadha to honor their Guru, as it was the fullest and most luminous Moon of the year. They named this special day Guru Purnima. On Guru Purnima, students honor the occasion by having the darshan of their living teachers. Disciples also remember their teachers (both past and present), chant their name, and offer gifts (known as dakshina) to thank their teachers for the grace that has been bestowed in their lives. It’s common to chant the name of your Guru or to chant specific mantras which honor the Guru. This way the Guru is topmost in your mind on Guru Purnima 2017. Paduka pujas are commonly performed on Guru Purnima. Padukas are the sandals worn by many spiritual teachers. They are traditionally made of wood and have a round stub which separates the big toe from the others. Paduka translates as “footprint of the Gods.” It is believed that a Guru’s power resides in his / her feet. The Guru’s sandals are also symbolic of the teacher’s power. 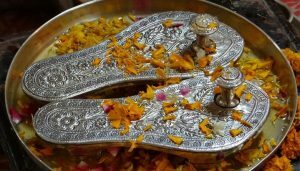 An abhishek or ritual bath to the Guru’s sandals is also commonly performed, this time to revered silver, gold, or brass sandals. In Vedic astrology, the planet Jupiter translates as Guru in Sanskrit. Jupiter is the planet associated with spirituality, religion, teachers, and wisdom. On Guru Purnima 2017, Jupiter will be in Virgo in the nakshatra or constellation of Hasta. Hasta is symbolized by a hand. It is creative and versed in a variety of subjects. This is an auspicious day to use your hands in service of humanity. Guru Purnima is also known as Ashadha Purnima. In North America, the Moon is fullest at 9 PM Pacific time. The Moon will be full in the sign of Sagittarius, with the Sun opposite it in Gemini in Vedic Astrology. The full Moon is in the nakshatra of Purva Ashadha. 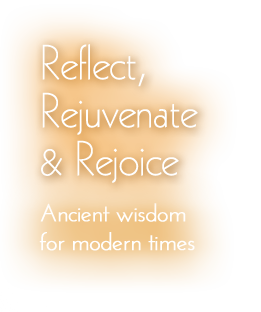 Purva Ashadha is connoted with the theme of ongoing self-improvement. Just as a disciple continues to refine himself or herself, for internal cleansing and purification, this constellation reflects the themes of this full Moon. Shubh Guru Purnima 2017! 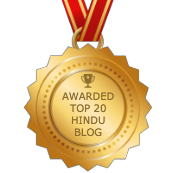 Vedic astrology for July, 2017: Exercise Caution!